A beautiful golden sand beach and a swimming pool overlooking the Caribbean make Golden Clouds villa in Jamaica a magnificent setting for your favorite sports activities. Take advantage of the crystal clear waters and the colorful coral reefs for spectacular snorkeling. The following water sports are available to all guests on a complimentary basis. Check out our reef - just a few yards from the beach. Remember, do not touch the coral or disturb any marine life! 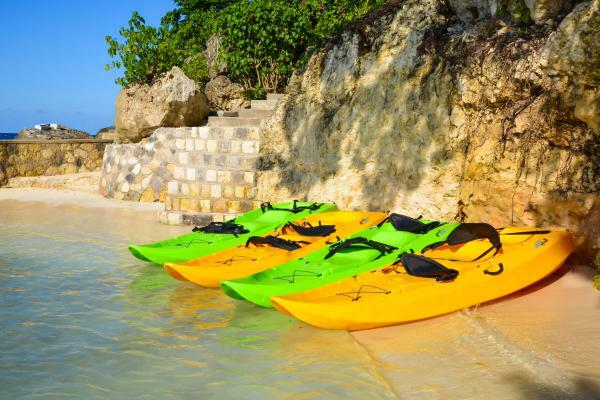 Adults and children enjoy paddling about Oracabessa Bay and gain a new perspective of the villa and surrounding area including our neighbors, Goldeneye and James Bond Beach. 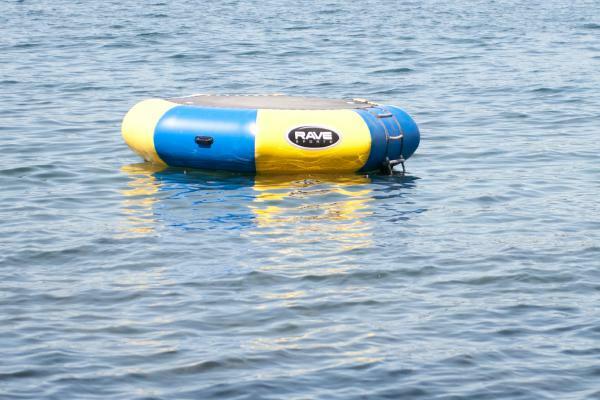 Check out our water trampoline and see how high you can bounce. The water trampoline is popular with young and old alike.